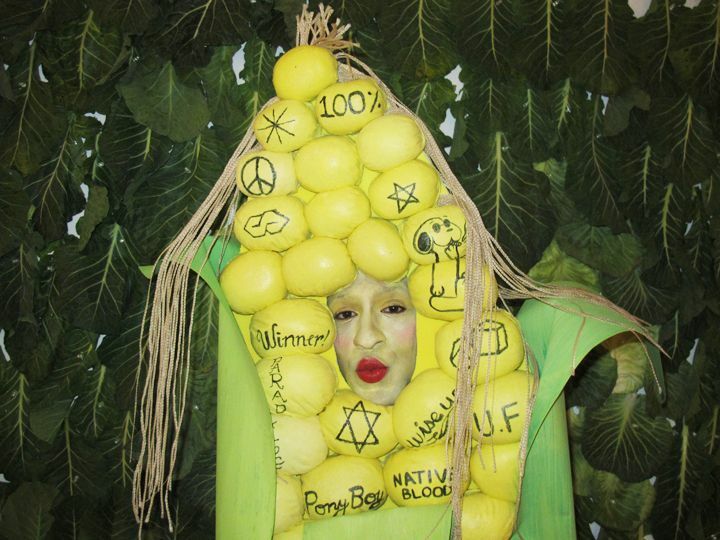 Mykki Blanco as "Mykki BlanCorn on the Cob"
Paper Beautiful Person Jaimie Warren has a new photos series out that's got us tickled -- and, oddly, a little hungry. The artist and photographer known for her Cindy Sherman-meets-DIY Internet punk aesthetic first caught our eye with her series of self-portraits posing as celebrities and their off-beat look-alikes (such as Lil Kim and a female gremlin) found on web sites like TotallyLooksLike.com. In her latest batch of "Celebrities as Food Series," which she created in collaboration with artist Lee Heinemann, she tapped Brooklyn-based artists and friends like stylist, Friend of Paper and Beautiful Person alum Ms. Fitz, artist Raul de Nieves, rapper Mykki Blanco and TV/Web personality (and, yes, former Beautiful Person) Thu Tran to transform into sushi platters, corn cobs, margaritas and more. Check out Mykki Blanco and Ms. Fitz above and below and keep an eye out for the rest, which will appear in Bullett. P.S. If you're down in Miami for Art Basel, be sure to check out Warren in Dust, a film by Adam Dugas and Casey Spooner that's screening tonight at the Mondrian South Beach and then, later in the week, she'll be performing in "Bushwick Gone Basel" at Cucu's Nest on Sunday, December 8th. 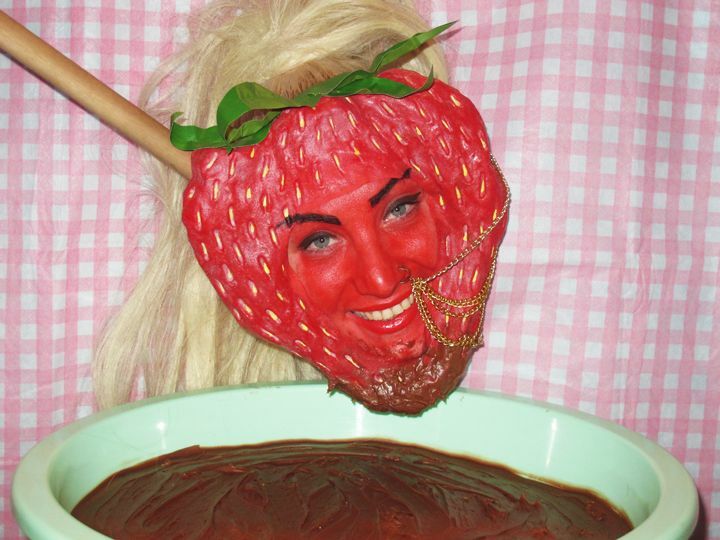 Ms. Fitz as "Ms. Fitz-strawberry Fondue"